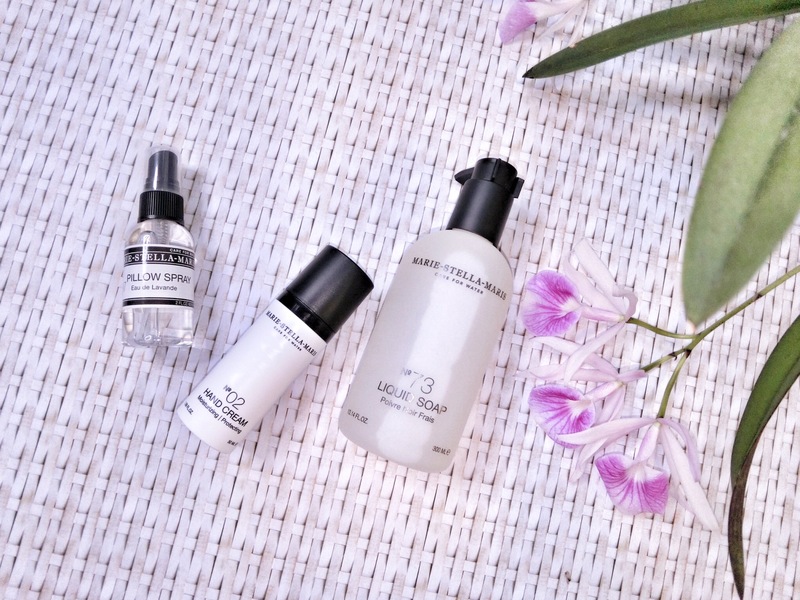 While quenching your skin this summer, quench the thirst of the underprivilged as well with Amsterdam-based lifestyle label Marie-Stella-Maris. Since 2014, it has been donating a portion of its profits to provide clean drinking water to the underprivileged. So far, more than 18,000 have benefited. For every litre of Marie-Stella-Maris Mineral Water sold, 5 cents is donated; while for every lifestyle product sold, 1 euro is donated. Their raison d’être is to work towards UN Resolution 64/292 – The Human Right to Water and Sanitation. Manufactured in Sweden, the skincare products are made with organic ingredients such as shea butter, cocoa butter, jojoba, sweet almond oil, as well as coconut oil. We tried the No.2 Handcream (lightweight but moisturising with shea butter, sweet almond oil, rosemary leaf oil, lavender oil); No.97 Pillow Spray Eau de Lavande (lavender with hints of eucalyptus and musk, refreshing); and No.73 Liquid Soap (with aloe vera juice, black pepper, lavender, geranium flower oil, gentle and lightly foamy). Good options if you like the concept of “clean beauty” with a social cause, plant-based, with organic ingredients, and free from parabens, silicones, lauryl sulphate, artificial fragrance, synthetic colours, glycols, TEA, DEA, and petro-chemicals.